We’ve come a long way from heating up our homes with fireplaces. Modern homes are now embracing all kinds of exciting tech to keep us warmer more efficiently and economically. Here are just a few ways that you may be able to upgrade your home’s heating. Smart technology is a means of being able to control devices in your home via your smartphone. This could include a smart heating system which can allow you to adjust the thermostat remotely. If you’re out the house and want to turn on the central heating before you get home or want to turn the heating off without leaving your bed, you can do so with a smart heating system. Smart meters meanwhile allow you to see exactly how much energy you’re using and how much this is costing you. Your energy provider is also sent this data, so that both of you have a clear idea of how much your bills are coming to. These meters can be useful for detecting gas leaks early, as well as helping you to identify power-hungry devices. Your old radiators could be using up more energy than is needed, whilst providing less heat than modern radiators. 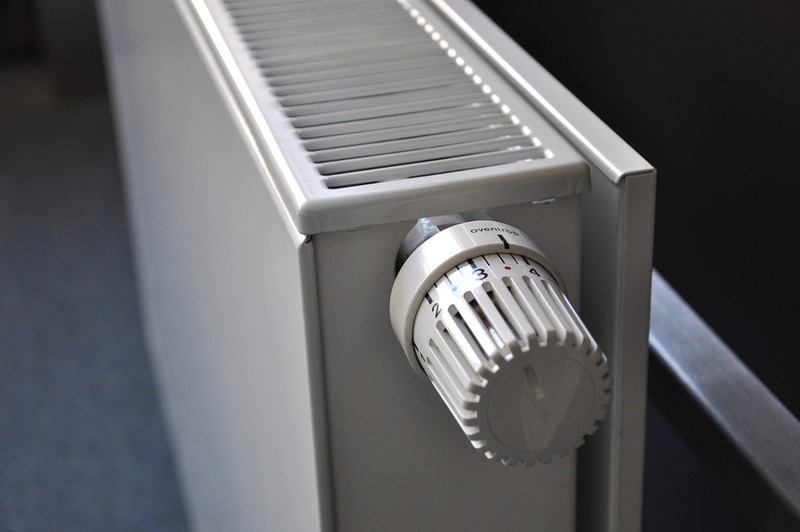 Consider replacing these with newer models and you’ll save costs whilst heating your home more efficiently. Radiators can even be turned into a design feature in your home – it could be worth trying out a designer radiator company and getting something that can add to the aesthetics of your home. Radiators can also be disguised as heated towel racks or even electric fireplaces. If you’ve got wooden or ceramic floors, it could be worth investing in underfloor heating. This can help to make the flooring warmer. Underfloor heating is particularly beneficial in the bathroom – the floor in this room can often get wet and underfloor heating can help to evaporate this water and prevent mould. There are many specialist underfloor heating installation companies that can do this job for you. Households are now finding new ways to live off grid and cut off their gas bills. A biomass boiler is one way to do this. This heating system runs off of bio-waste material such as wood pellets, logs or chips. Whilst you do have to buy these pellets, the cost overall is much less than running off mains gas. Biomass boilers do require a little more maintenance – you have to sweep out the ash regularly and keep it clean. A flue will have to be installed, which may require planning permission. One plus-side is that you may be eligible for a government grant if your home doesn’t already meet certain eco-friendly levels. Another sustainable way of heating your home is with solar energy. Solar panels are able to generate electricity, which is then used to heat up your home. This can also allow you to live off-grid, although you may still want a connection to the mains as a back-up in case you have one too many cloudy days or live in an area of low sunlight. Solar panels are best placed on your property’s roof. They are able to generate power even in cloudy weather, however you may need a fair number of them to provide enough electricity for your heating and wiring. For heating your food more efficiently, it could be worth upgrading your oven, especially if it’s over fifteen years old. Gas ovens generally cost less in energy bills and keen bakers may prefer the way they cook food. Electric ovens may cost more but can have some advantages such as providing hobs that can quickly be heated up and a more evenly distributed heat within the stove. Modern gas and electric ovens are much more economical than they were a decade and a half ago. They may also come with extra features that could improve your cooking. For example, there are electric ovens with customisable hob layouts helping you to accommodate different pan sizes. Some ovens also have different cooking settings for different food on top of the regular temperature dial. This can be very helpful if you’re not sure how long to put something in for. There are even self-cleaning ovens on the market that could remove the laborious task of having to clean out the stove regularly.